1. 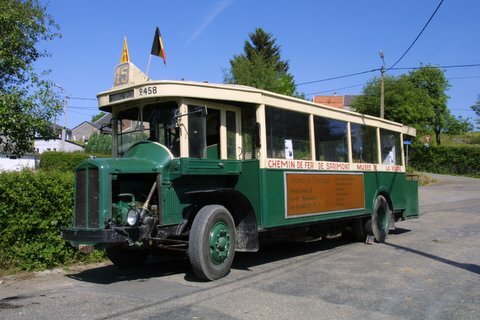 A Renault TN-6C bus. 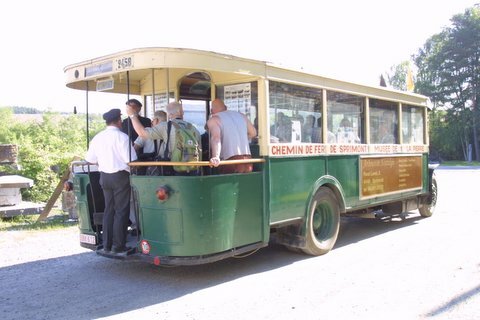 This is the typical open-platform Paris bus, in service from about 1935 to 1965. 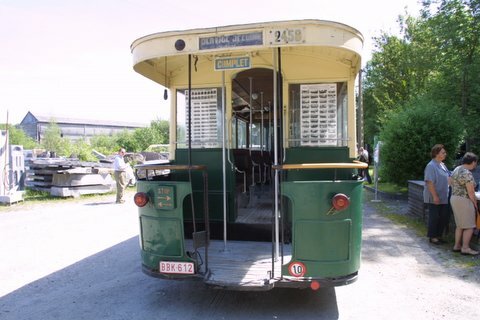 This particular one was number 2458 in the RATP (Paris Transport) fleet. 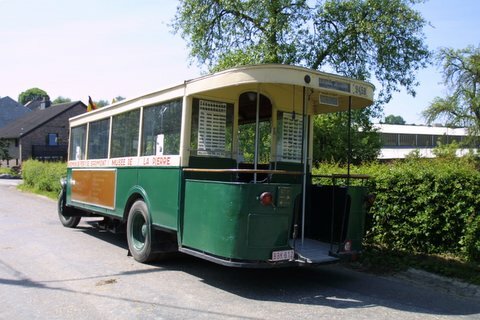 It is now preserved near Liège in Belgium. 2. The platform at the rear. 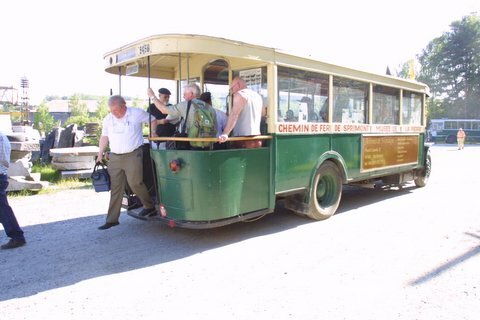 Maigret liked these buses the most as he could smoke his pipe on the platform, something that was forbidden on the inside. 3. Getting off of the bus at the rear. 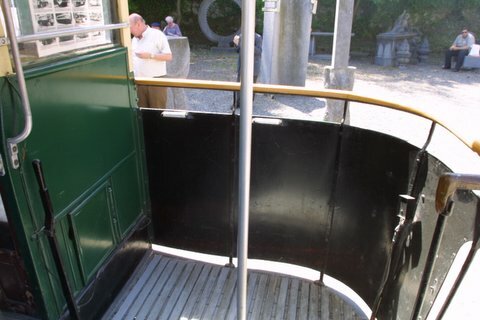 This was the only way on or off of these buses. The people in these photos are all members of the Belgian railfan group PFT/TSP. 4. Everything is exposed on these buses, the engine and steering are all on public display. 5. 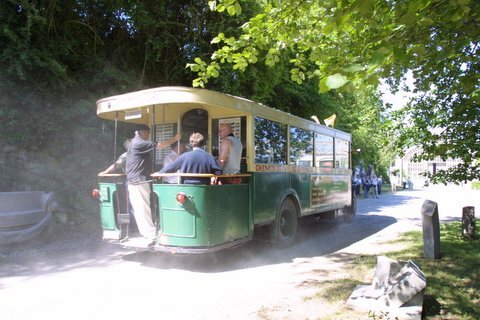 Here she is underway with a full load of passengers, including some riding on the platform. 6. The bus approaches the end of its journey. The passengers on board will be soon exchanged for another group. 7. 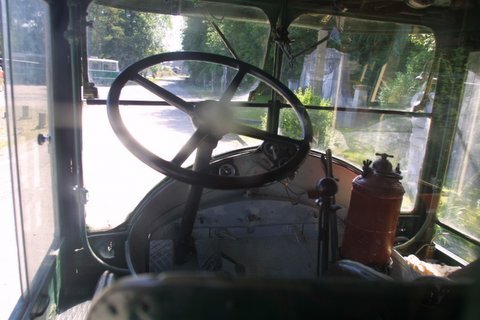 The driver's compartment. The driver sits very high up and has his own door on the street side of the bus for access. Behind the driver is a glass partition, which in this case is quite dirty, accounting for the spots in the photo. 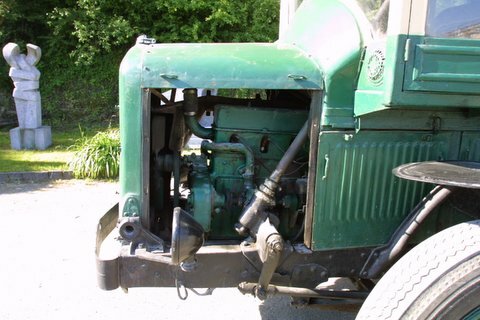 There was no power steering, power brakes, automatic transmission, or air conditioning in those days. Eight hours behind the wheel of one of these on Paris streets must have been quite a chore. 8. 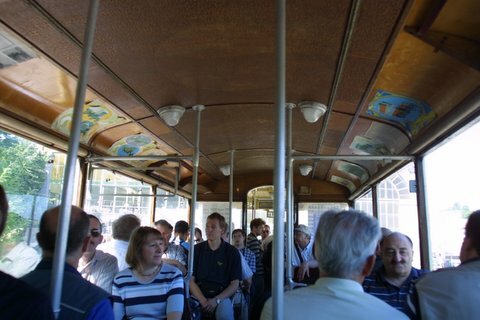 The interior of these buses was all in wood, including the ceiling as you can see here. The seats were covered in dark brown vinyl with the RATP logos embossed in them. 9. 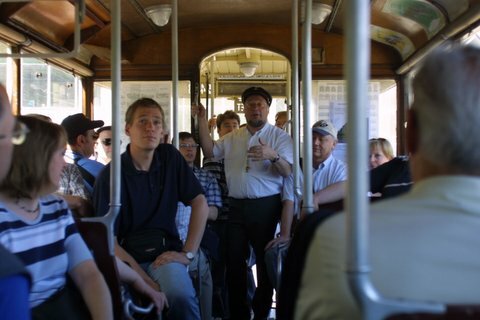 The gentleman in the doorway with the white shirt is the conductor. At that moment he was explaining about the bus to the passengers. 10. A rear three-quarter view without anyone in the way. There are 32 seats inside. 11. "Do not get off until the bus comes to a complete stop" is what the white sign just over the platform entry says. 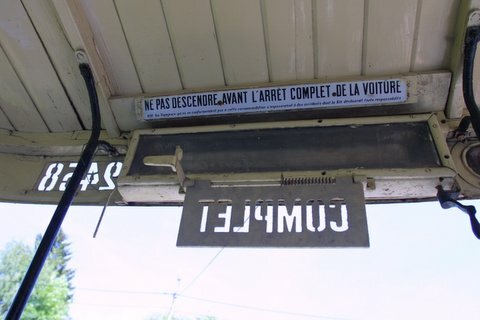 The word "COMPLET", seen here in reverse, informs intending passengers that the bus is full. 12. The rear platform was not that large, perhaps a little more than two square meters. 13. The object hanging down on the left is the signal cord. The conductor used it to tell the driver when to start after everyone had finished alighting and boarding at each stop. 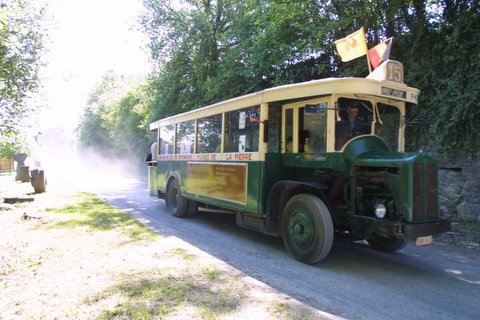 The conductors were much more exposed to the elements than the driver was.